DLT and AWS work together to ensure you are quickly up and running in the cloud. We maintain a diverse and deep library of design patterns to jumpstart your application or systems into the cloud. These unique blueprints include design, installation, configuration, training, and support remote or on premise delivery by one of our senior engineers. Our alignment to the “infrastructure as code” methodology is designed to help both business and technical users become cloud-ready as quickly as possible by addressing all aspects of cloud computing in a documented, organized, and easy to digest manner. Built on Amazon Web Services’ (AWS) proven framework, our cloud platform offerings allow you to rapidly procure IT services, scale up or down as needed and release when finished, resulting in the perfect mix of cost savings, improved service deliverability, and increased productivity for your agency. DLT Managed Services supports the entire life cycle of services for the AWS platform. From design and implementation to management and support, we offer a unique “train-mentor-deliver” approach that guarantees rapid customer adoption and maximum self-efficiency. DLT also provides our customers with ongoing managed services including support, monitoring and maintenance, to ensure continuity and consistency within your cloud environment. 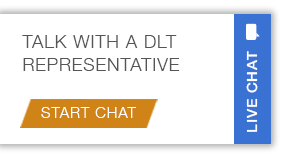 Learn more about DLT’s Managed Services. To ensure continuity and consistency within your cloud environment, we offer a 24x7x365 U.S.–citizen, U.S.–soil, ITAR compliant Service Center to support complex case resolution.